Predatory journals are profiteering “individuals or companies”, who use the open-access publishing system to exploit authors, by charging them article processing fees without providing the high quality editorial services associated with legitimate journals . Predatory journals are on the rise; their publication volumes increased “from 53,000 in 2010 to an estimated 420,000 articles in 2014, published by around 8,000 active journals.” . Do you have a pay a submission charge? – Most reputable journals do not require authors to pay a submission charge. How well is the journal indexed? – A reputable journal will be indexed in familiar online databases, e.g., DOAJ, PubMed, Science Citation Index, SCOPUS, EBSCO, Embase, etc. Who is on the editorial board? 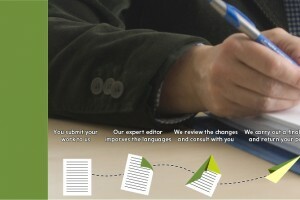 – A reputable journal will have recognisable experts from established universities on the editorial board. However, predatory journals often fraudulently list academics without their consent – check online personal profiles to see if the academic in question lists themselves as an editorial board member for the journal. Who is the journal’s publisher? 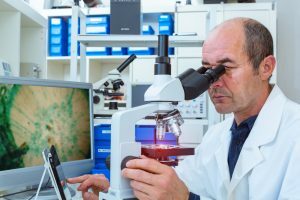 – A reputable journal will use a recognisable publishing house, e.g., Springer, Wiley, Elsevier, Nature Publishing Group, Taylor & Francis, Sage, etc. What are the journal’s peer-review practices? – A reputable journal will clearly describe its peer-review process. An exhaustive list of ways to identify predatory journals can be found here. What are the consequences of publishing in a predatory journal? You will have to pay a fee, which can range from a few hundred to several thousand dollars . As predatory journals have substandard (or no) peer review practices, you will lose out on proper evaluation of our paper. This could affect your scholarly reputation, which is directly based on the quality of your output. It is extremely difficult to remove your paper from predatory journals and get it published elsewhere . Often, predatory journals do not digitally preserve published papers. More generally, predatory journals lower the standard of scientific output. They are an unfortunate byproduct of the open access movement; however, by practicing vigilance, scholars can retain the benefits of open access, while maintaining a high standard of scientific output. Beall, J. (2016) Best practices for scholarly authors in the age of predatory journals. The Annals of The Royal College of Surgeons of England 98(2), 77-79. Shen, C. & Björk, B.C. (2015) ‘Predatory’ open access: a longitudinal study of article volumes and market characteristics. BMC Medicine 13(1), 1. Günaydin, G.P. & Dogan, N.Ö. (2015) A growing threat for academicians: fake and predatory journals. Journal of Academic Emergency Medicine 14(2), 94. Beall, J. (2015) Predatory practices pose problems for new publishing models. Research Information. Weblog. Available at: http://www.researchinformation.info/features/feature.php?feature_id=466 [Accessed 29 April 2016].